At CKDigital, our overall mission is to help people succeed. 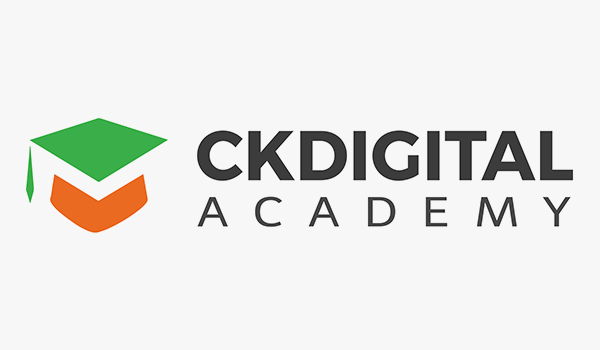 We are pleased to announce one more way we are doing this – CKDigital Academy. On the 1st of July, we officially launched CKDigital Academy – providing Web Design, Digital Marketing, and Branding training. The objective of CKDigital Academy is to help people succeed in their digital careers. CKDigital Academy offers the best web design and digital marketing training in Lagos Nigeria. At completion of any of our programs, students are able to either begin a successful, high-paying career, or set up their own businesses. The Academy will kick off with the Web Design Training program, teaching students UI Design, Front-end Development, and WordPress Web Design. User Interface Design: Explore the UX/UI design process from start to finish as you conduct design research, understand wireframes, and design website user interface. Front-end Development: Learn and go beyond basic HTML and CSS: learn to use CSS transitions, responsive CSS with media queries, and more. WordPress Web Design: Develop functional websites powered by the world’s most popular content management system – WordPress. Facilitators for the Web Design Training include Senior Designer, Charles Dairo and Senior Front-End Developer, Omeiza Owuda. Please visit ckdigitalacademy.com for more information about the CKDigital Academy and the Web Design Training in Lagos. Please I want to learn about web/graphics design. Kindly send your details for me to know how to go about it because I am planing to buy a form in a different school thanks. Dear Ntara, we offer full web design training. You can get all the details at http://www.ckdigitalacademy.com. Thanks for your interest in our training service. You can get full details at http://www.ckdigitalacademy.com.